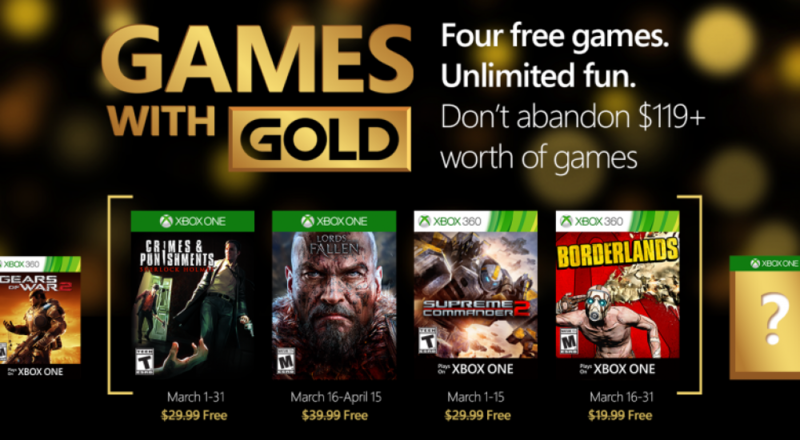 For Borderlands, the freebie time starts March 16 and ends March 31. This is the Xbox 360 version of the game, but thanks to backwards compatibility, Xbox One owners can still play and enjoy. Be sure to invite some friends over for what is arguably the best game in the series. (That's right, I said it!) Local play allows for two players in splitscreen, while online lets you and three others team up for all the funs.